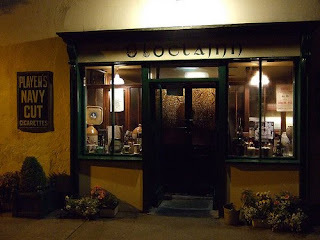 I was at a wedding in County Clare over the weekend and managed to slip away for a couple of hours to check out O'Lochlainn's Whiskey Bar in Ballyvaughan. 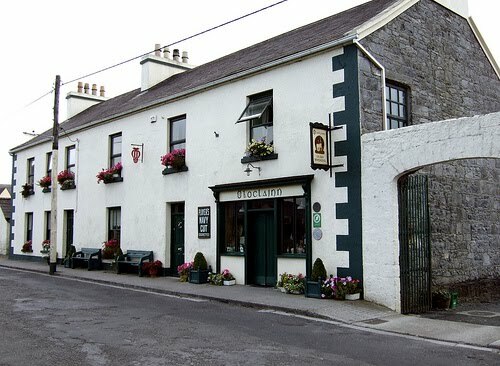 It's a beautiful, genuine, little pub with a friendly atmosphere. It's fitted out like a 1930s grocers, which is exactly what it was. The shelves are filled these days with a remarkable collection of rare Irish whiskeys, a collection begun by the current owner's father. 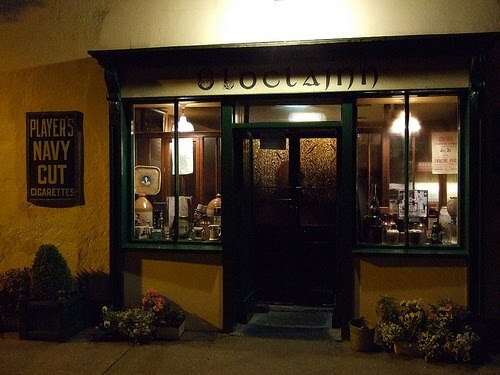 It looks like a whiskey drinker's paradise and, indeed, there is a wider selection of whiskeys for sampling than in most Irish pubs. Unfortunately, the choice doesn't go beyond the basics. The whiskey menu lacks lots of obvious, readily available whiskeys. For example, you can have a bottom-of-the-range Connemara, but not the 12 year old, single cask, cask strength or sherry finish versions. Likewise there is a "no age statement" Tyrconnell but no 10 year old port / madeira / sherry finish nor the magnificent 15 year old single cask. Because, I assume, of the strong tourist trade, prices are at Dublin levels. A Powers 12 year old is €5.50, a Connemara €5.00, for example. 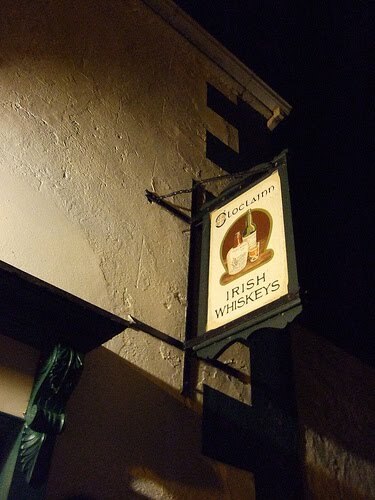 I hope O'Lochlainn's expands its whiskey menu. In the meantime, it's still a great place for a sociable drink.